Knowledge of how to tie and use knots is essential, but often forgotten if not used or trained on regularly. 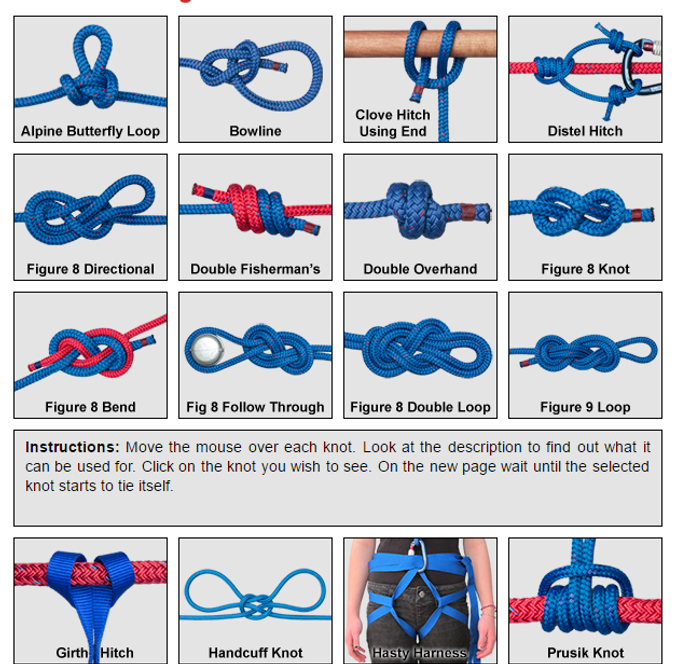 The following knots described in this section should be adequate to meet the needs of most water rescue situations. Keep in mind that it is more important to be able to tie these knots automatically, while under stress of an emergency, than to know a greater number of knots and yet have failed to acquired skill in their use. With the help of Boreal River Rescue provided a video to help students review knots with rope and webbing for Swift Water Rescue Training / Recertification. This video includes the "figure 8" family as well as the alpine butterfly and water knot.